India is the fifth largest generator of e-waste in the world. The country discarded 1.7 million tonnes (Mt) of electronic and electrical equipment in 2014, said a United Nations report. 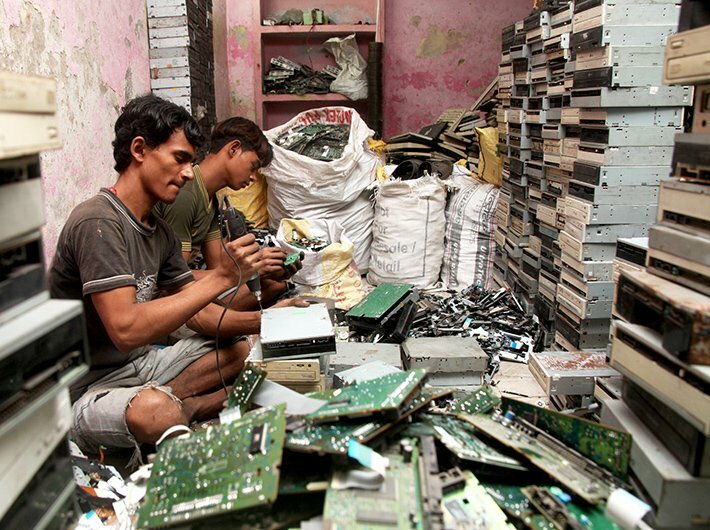 Most e-waste in the world in 2014 was generated in Asia at 16 Mt or 3.7 kg per inhabitant. The top three Asian nations with the highest e-waste generation in absolute quantities are China (6.0 Mt), Japan (2.2 Mt) and India (1.7 Mt). US and China top the list globally. The report, compiled by United Nations University, also said that the 41.8 Mt weight of last year’s e-waste is comparable to that of 1.15 million 40-ton 18-wheel trucks (enough to form a line of trucks 23,000 kilometres long, or the distance from New York to Tokyo and back). The report warns that the global volume of e-waste is likely to rise sharply by 21% in the next three years. Toxins in that e-waste include 2.2 Mt of lead glass (more than six times the weight of the Empire State Building), 0.3 Mt of batteries, as well as mercury, cadmium, chromium and 4,400 tonnes of ozone-depleting chlorofluorocarbon (CFCs). Health problems associated with such toxins include impaired mental development, cancer, and damage to liver and kidneys.